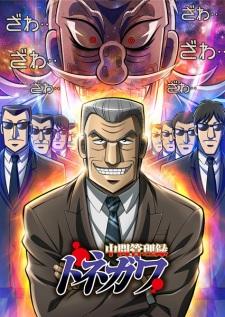 Plot Summary: Chuukan Kanriroku Tonegawa is a spin-off of the Kaiji series, which follows Tonegawa, the right hand man of Kazutaka Hyoudou, the president of the Teiai Corporation and owner of numerous gambling tournaments. After Hyoudou is getting bored with his life, he orders Tonegawa to organize a so called game of death as it is his and his subordinate's job to keep the president in a good mood. Tonegawa must cooperate with his subordinates in order to make the president happy and what follows is a humorous story of his interactions with his subordinates and other characters of the Kaiji series.